There is something about summer that screams HAPPY HOUR! Gin and Tonic, a splash of Saint Germain, a pour of rose – anything will do. But, you’ll need a good snack to go along. 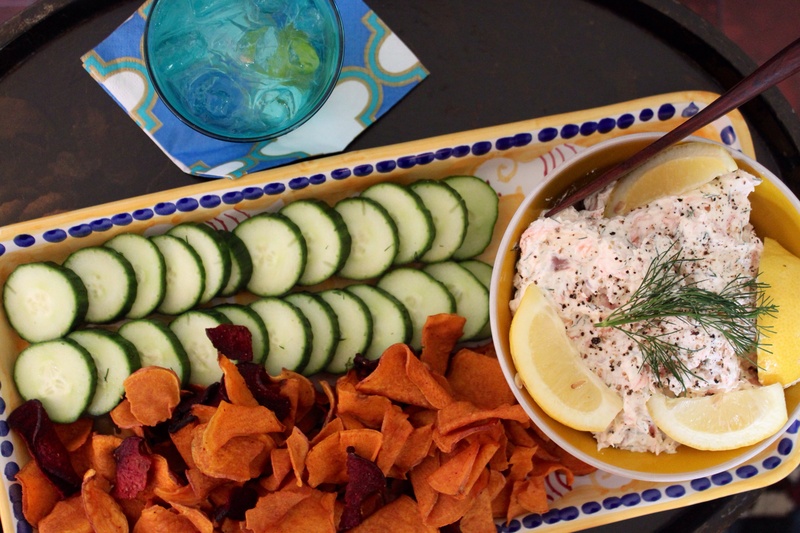 This past weekend, I modified this Ina Garden recipe for a happy hour gathering. I added more smoked salmon for more of a fishy bite (closer to my favorite childhood Smoked Mullet Dip). This took less than 10 minutes to make and was a big hit. Save it in your back pocket for your next happy hour. Cream the cheese in a stand up mixer until just smooth. Add the sour cream, lemon juice, dill, horseradish, salt, and pepper, and mix. Add the smoked salmon and mix well. Chill and serve with crudites or crackers.